Going into space comes with its share of risks. In addition to the possibility of a catastrophic failure happening during take-off or landing, and having your craft pinholed by a micrometeorite, there are also the dangers of spending extended periods in space. Beyond that, there are also the slow, degenerative effects that spending an extended amount of time in a weightless environment can have on your body. While astronauts on the ISS have enough space for the work-out equipment they need to help reduce these effects (i.e. muscle degeneration and loss of bone density), long-range missions are another matter. Luckily, NASA has plans for how astronauts can stay healthy during their upcoming “Journey to Mars“. It’s known as the Resistive Overload Combined with Kinetic Yo-Yo (ROCKY) device, which will be used aboard the Orion spacecraft. For years, engineers at NASA and in the private sector have been working to create the components that will take astronauts to the Red Planet in the 2030s. These include the Space Launch System (SLS) and the Orion Multi Purpose Crew Capsule. At the same time, scientists and engineers at the Ohio-based Zin Technologies company – with the support of the NASA Human Research Program’s Exploration Exercise Equipment project – were busy developing the equipment needed to keep the Martian crews healthy and fit in space. One of the biggest challenges was making a device that is robust enough to provide a solid work-out, but still be compact and light-weight enough to fit inside the space capsule. What they came up with was ROCKY, a rowing machine-like tool that can accommodate both aerobic activity and strength training. Using loads that simulate up to 180 kg (400 pounds) of resistance, astronauts will be able to perform excises like squats, deadlifts and heel raises, as well as upper body exercises like bicep curls and upright rows. The device can also be customized, and incorporates the best features from a second device known as the Device for Aerobic and Resistive Training (DART). These include a servo-motor programmed to deliver a load profile that feels very similar to free weights. The DART was developed by TDA Research, a Denver-based R&D company, with the support of NASA’s Small Business Innovation Research Program. It was evaluated alongside the ROCKY during the equipment selection process. In addition to being used for the crewed mission to Mars, the ROCKY device is likely to become a permanent feature aboard the Orion capsule, which will make it a mainstay for all of NASA’s proposed long-duration missions. The ROCKY device will be tested for the first time on Exploration Mission-2 (EM-2), the first mission where the spacecraft will be launched with a crew aboard. Th ROCKY will be located near the side hatch of the spacecraft, which astronauts will use to get in and out of the capsule. After the Orion is launched, the crew’s seats will be collapsed to provide more interior space for the astronauts as they work out. And while the early missions using the Orion capsule will span only a few weeks at a time, staying fit will be important in the unlikely event that the astronauts need to get out of the crew module unassisted after splashdown. 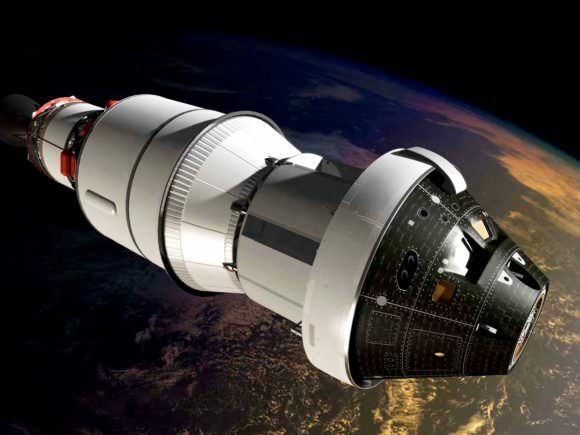 In the meantime, NASA will be spending the next few years refining the device to optimize it not only for near-term crewed Orion missions, but for potential uses on future long-duration missions. These will include the all-important launch where the Orion will dock with a habitat in the area of space around the moon. These missions are part of Phase II of NASA’s Mars mission, which is known as the “Proving Ground” phase. 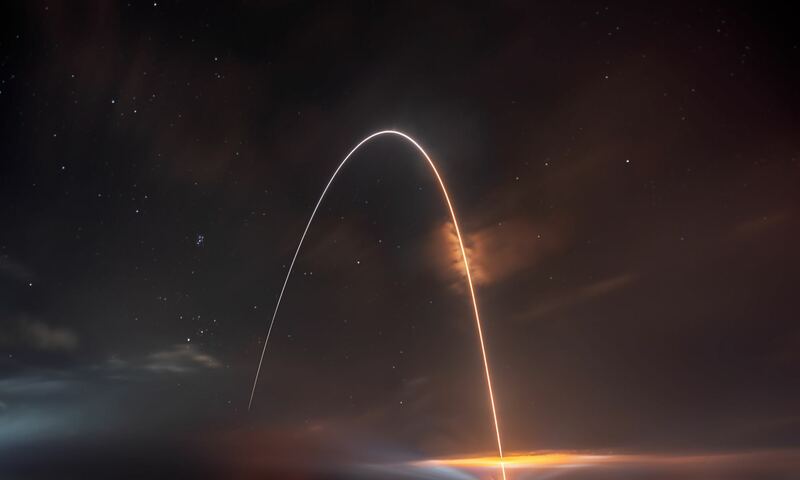 Scheduled to begin in 2030, this phase will involve the last elements of the mission being launched to cis-lunar orbit, and then all the equipment being sent to near-Mars space for pre-deployment. The development team that will oversee future refinements will include engineers and scientists from Glenn Research Center in Cleveland, Ohio, and Johnson Space Center in Houston. In addition to building the hardware and ensuring that it is certified for flight, they will also be responsible for incorporating lessons learned from the development of equipment built for the ISS. If all goes well in the coming years, the team even plans to include ROCKY into the International Space Station’s already impressive array of workout machines. Just another way for the astronauts to beat the slow, degenerative effects of floating freely in space!